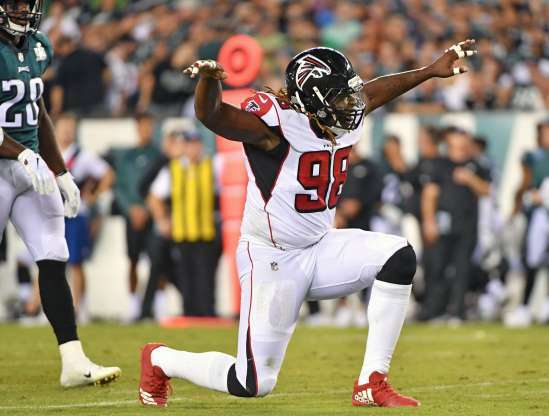 Some pretty big stuff went down in NFL Week 12 as contenders scrapped for a foothold in the playoff chase heading into the season’s final quarter. One game that featured teams on the other end of the spectrum gave us one of the most poetic moments of the season. With only two teams on a bye this week, there was plenty of stuff to digest. These were the biggest winners and losers from the action. Cleveland did some incredible stuff in the first half on the road against Cincinnati. The Browns put up 28 points in the first half — essentially putting the game away before halftime. It was the first time since 1991 that they’d scored that many points in a first half. It was also the first road win in 26 tries — saving the Browns from the embarrassment of setting another dubious NFL record. Along the way, Baker Mayfield and Nick Chubb continued to show they’re going to be centerpieces in Cleveland for a long time. Mayfield threw multiple touchdowns for the fifth game in a row (he finished with four and no interceptions), and Chubb racked up 128 yards with two touchdowns. Oh, and they did it all against their former head coach. Loser: Who’s trash now, Ramsey? 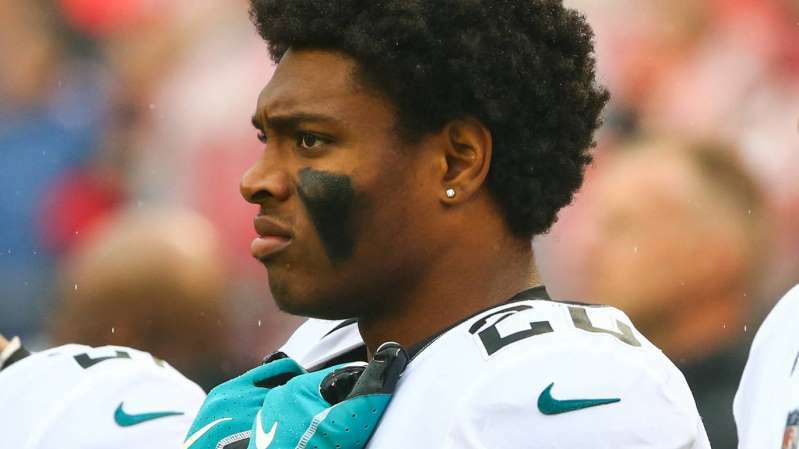 Jacksonville Jaguars cornerback Jalen Ramsey made headlines before the season for an interview he did in which he blasted many of the league’s quarterbacks. 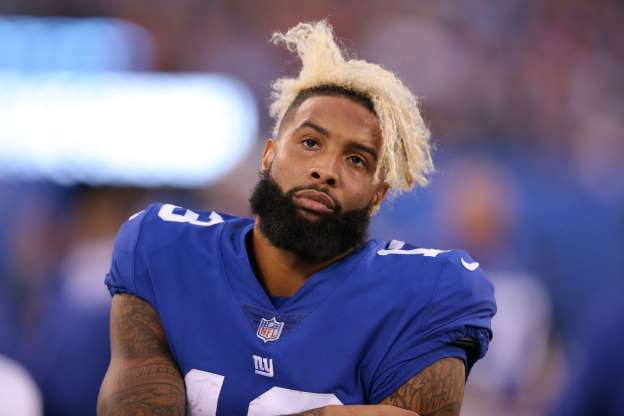 Among them, he singled Buffalo’s Josh Allen out, calling him “trash.” He would also take to social media to troll Allen, which made his disdain for the rookie all the more clear. Well, Allen and the Bills took it to Ramsey and the Jaguars on Sunday, winning 24-21 in Buffalo, and honestly the game wasn’t really as close as that. Allen outplayed Blake Bortles — throwing a gorgeous 75-yard touchdown pass and scoring twice, helping his team hand Jacksonville its seventh loss in a row. Right now, it’s clear that the Jags are trash. Being dismantled by Allen and the Bills at this point in the season accentuated that fact. 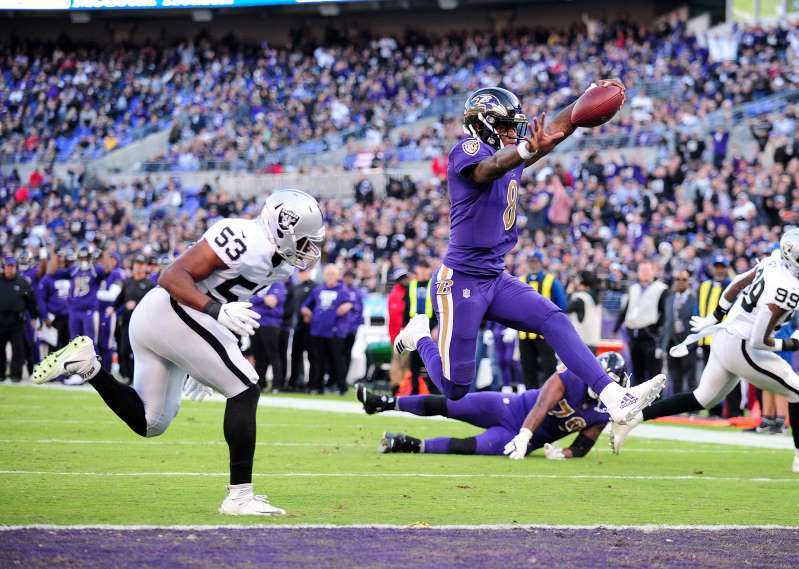 For the second weekend in a row, Lamar Jackson and Gus Edwards led a winning offensive attack as the Baltimore Ravens easily cruised past the Oakland Raiders. Jackson accounted for 249 yards and two touchdowns, and Edwards was brilliant on the ground going for 118 yards on 23 carries — a lot of that coming in the second half as the Ravens protected the lead. 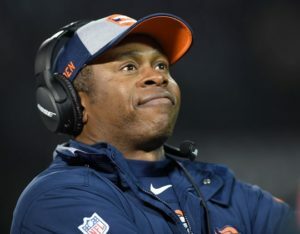 Earlier on Sunday before the games began, a report emerged that Jackson had a “strong shot” to retain the job even if Joe Flacco is healthy. 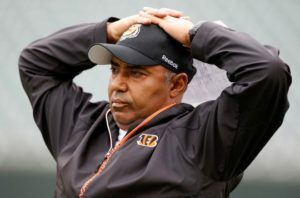 Based on the way things have gone the past two weeks — Baltimore snapped a three-game losing streak last weekend and is now very much in the playoff hunt — benching the rookie would be a tough sell. There are a few things that stand out as big mistakes by Carolina on Sunday in their three-point loss to Seattle. The decision to go for it on fourth down at Seattle’s five-yard line on their first offensive possession backfired, for one. Cam Newton’s interception in the end zone on the first drive of the second half was brutal, too. At the least, those mistakes cost Carolina potentially six points. But despite them, the Panthers had a real chance to win at the end of the game. Newton and the offense moved into field-goal range with under two minutes remaining. 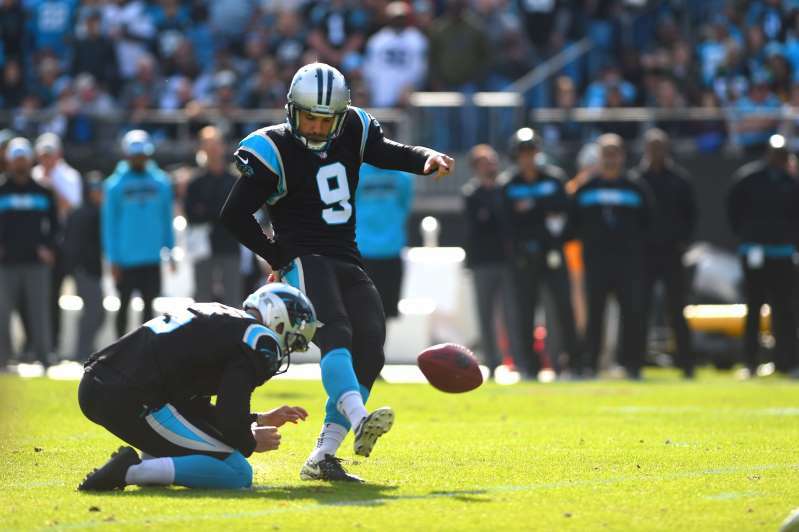 Then, just like last weekend, Graham Gano — usually extremely reliable — missed the potential game-winner. Seattle drove down the field and converted the actual game-winner with time expiring instead. Now at 6-5, having lost three straight games, a playoff spot is in no way guaranteed for these Panthers. Acquiring Tyrod Taylor and Jarvis Landry in one day was not enough for the Cleveland Browns. As ESPN’s Adam Schefter said on Twitter Friday, a full five days before trades can become official and 2018 free agency begins, the Packers have informed Randall, who intercepted a career-high four passes in 2017, that he’s been traded to Cleveland. And another trade for Browns: Packers have informed CB Damarious Randall that he is being traded to Cleveland (like everybody else), per source. 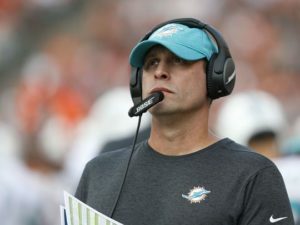 In the case of their trades for Bills quarterback Tyrod Taylor and Dolphins wideout Jarvis Landry, the Browns sent out draft picks to acquire a veteran they likely would not have been able to woo in free agency unless their markets totally failed to materialize. Buffalo and Miami had little leverage in making these deals, given that the Bills had no realistic intentions of paying Taylor the $6 million roster bonus he was due on March 16. Buffalo might have publicly suggested it was willing to pay Taylor to keep its options open, but outside of Nick Foles with the Rams in 2016, there’s virtually no track record of a team paying this sort of optional roster bonus for a player it didn’t plan to keep in a meaningful role. Meanwhile, the Dolphins might not have been able to afford the $16 million franchise tag Landry signed earlier this week. Landry reportedly had interest from the Ravens, but given that Baltimore would have needed to totally restructure his deal, it’s unlikely the Dolphins would have been able to make a similar swap to the one they made here. And if there weren’t any other trade suitors for Landry, he probably wouldn’t have signed the franchise tag. The most likely outcome for both Landry and Taylor this offseason was that they were both going to hit free agency. Instead, they’re both Browns. There are 32 teams in the NFL and only two of them will be getting a parade this year: The team that wins the Super Bowl and the Cleveland Browns. Browns fans didn’t get to celebrate a single victory in 2017 and because they are clearly desperate to celebrate something, ANYTHING, thousands of fans will be taking part in a “Perfect Season” parade this week to celebrate the team’s 0-16 record. Someone wins the Super Bowl every year, but it’s not every season where a team finishes 0-16, so this parade kind of makes sense if you think about it. The Browns are just the second team in NFL history to go winless through a 16-game season. If you’re going to be in the Cleveland area this weekend, you might as well just go ahead and plan to attend. The parade is on Saturday and will start at noon with a route that goes around FirstEnergy Stadium. According to Chris McNeil, the man who came up with the idea for the parade, there’s actually a perfectly logical explanation for why the route will be going around the Browns’ stadium. “It’s going to go around the stadium [to form] a big loop, a big zero for the number of wins we had this year,” McNeil said, via NBC 4 in Cleveland. Fittingly, the temperature on Saturday is expected to be around zero degrees, which means Mother Nature is definitely doing her part to celebrate the Browns’ zero-win season. John Dorsey has been on the job in Cleveland less than a week, but the Browns new GM already made sweeping conclusions about the performance of Sashi Brown and the previous regime. Dorsey made it clear he believes the Browns lacked a strong personnel man to collect Hue Jackson winning players and the new GM backed the coach with a 1-28 record. “As Bill Parcells would always say, ‘you are your record’ and you know what? There it is, so that’s the truth-teller in this thing,” Dorsey said. “And I’m going to do my darnedest to get Hue (Jackson) players. 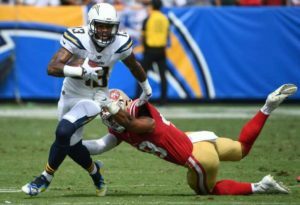 In Dorsey’s view Sashi Brown might not have collected enough talent to win in the short term, but the former GM left Cleveland with a treasure trove of draft capital, including five picks in the first two rounds of the 2018 NFL Draft. It’s Dorsey’s job to turn those picks into winning players.